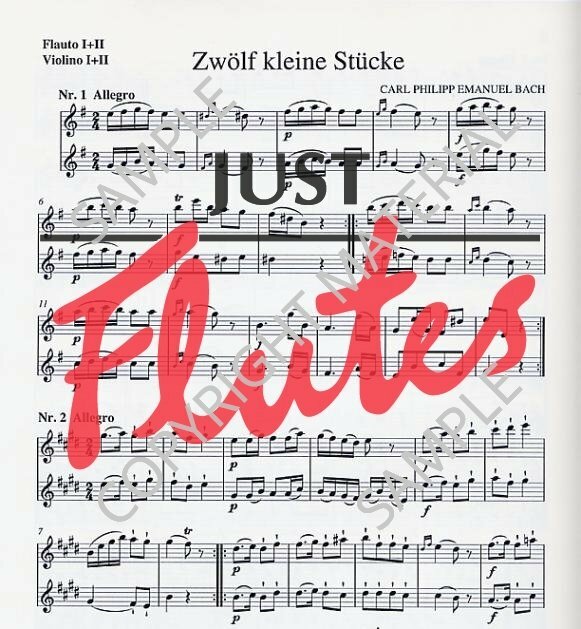 Here are 12 little original pieces for 2 flutes and piano by CPE Bach which are a delight. Very short and sweet, they are grouped in da capo pairs, each pair having it's own character. Most are major/minor and share the same type of rhythm. They would make good concert material or sightreading practice for developing players and would be a great introduction to both Baroque and chamber music. Quite lovely! 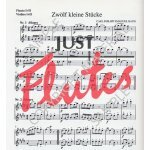 In this edition both flute parts are printed together and there are 2 copies of these. 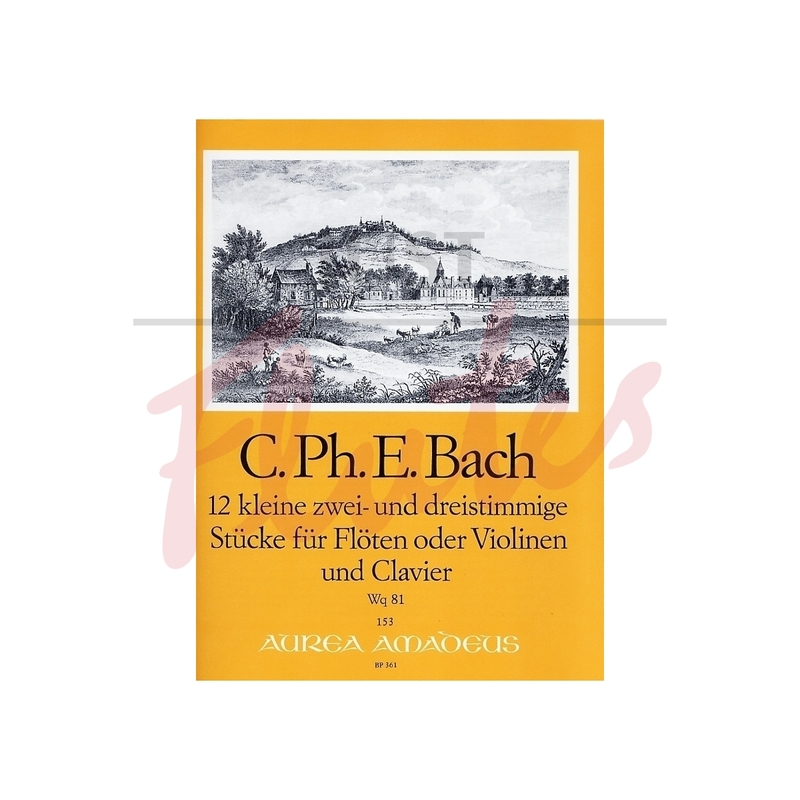 No basso part is included as the edition is for Clavier.